يقع The Ledge Holiday House في منطقة مشهورة للغاية في المدينة. هذا الفندق هو من الخيارات الشائع بين المسافرين. إن موقع الفندق الاستراتيجي، الذي يبعد 1.5 km فقط عن مركز المدينة، يسمح للنزلاء بالوصول سريعاً وبسهولة إلى العديد من الوجهات المحلية المثيرة. يضفي محيط الفندق اللطيف وقربه من أكثر المعالم السياحية جذبًا سحرًا خاصًا على هذا الفندق. إن The Ledge Holiday House حريص على توفير الراحة للنزلاء، فلا يوفر الموظفون جهداً في تقديم أفضل الخدمات وضمان حسن الاستقبال. يمكن للنزلاء الاستمتاع بالميزات التالية: تخزين الأمتعة, صف السيارات, غرفة عائلية, مرافق للشواء, مكان مخصص للتدخين أثناء إقامتهم في هذا المكان الرائع. ادخل إلى واحدة من الغرف 2 وتخلص من عناء نهار طويل بمساعدة مجموعة كبيرة من الخدمات كمثل تلفزيون بشاشة مسطحة, سجاد, رف للملابس, قهوة فورية مجانية, شاي مجاني الموجودة في بعض الغرف. صممت خدمات الاستجمام في الفندق والتي تتضمن حديقة لمساعدتك على الاسترخاء والراحة. إن The Ledge Holiday House هو خيارك لخدمة الفنادق الراقية في المدينة. Excellent location and spacious house. Host was really helpful. The house was central to all attractions (15-20 min drive). House had all necessary amenities to enjoy our stay. Best part was sitting in balcony and enjoy watching birds visiting !! 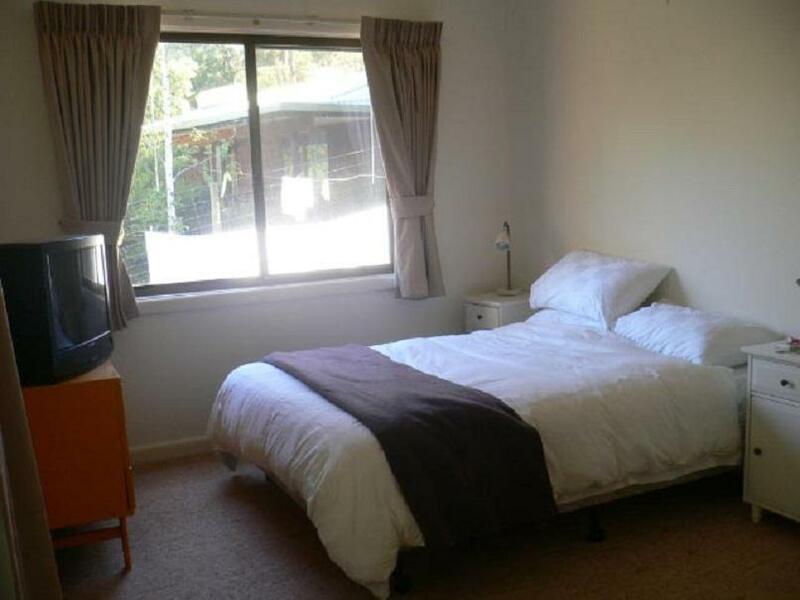 good location very quiet, and close to the bush, with visits from a variety of wildlife. comfortable beds. would love to see new lounge suite in the lounge room , as this room really needs to be improved on comfort. overall we were happy. Wish central AC would have been working. First day was very hot. Pedestal fans in bedrooms would have been nice. It was a lovely weekend away. My husband & I had a wonderful stay here with our 3 young children. The house has a country charm about it & is well set out & quite spacious. It easily accomodated the five of us! The children enjoyed feeding the birds on the verandah each morning & spotting a kangaroo or two! It's only a short drive to the shops & the park which was great. We also loved having the fire going at night! The house has everything you need so you really only need to pack your clothes & food when staying here!! We would definitely stay here again. It's lovely!! Great location for exploring the Grampians area, very large 3 bedroom house with fully equipped kitchen and washing machine and dryer. Owners supply all bed linen and towels. Has fire place and can feed the native birds from the balcony, great for families with young kids. 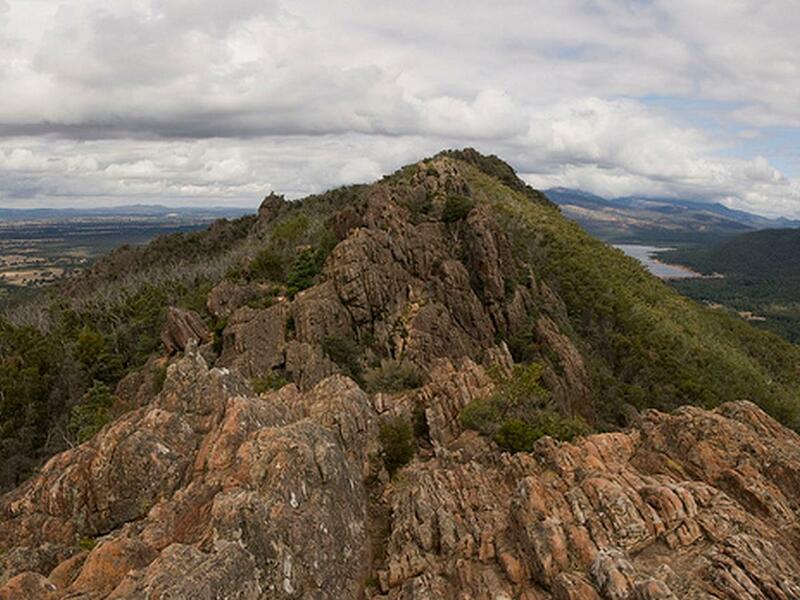 The house is very well equipped and is located in a prime area within the Grampians. The price value is excellent with the facilities provided. House was clean and well laid out. Driveway is steep particularly when having to reverse out on a wet day. Not a great concern though as it was part and parcel of the view. I would stay there again definitely. We were very happy with the stay. We went for R&R and thats just what we got! Beautiful views and lovely wildlife at your door. The house would be great for families with heaps of room. Great bathroom (with bath) laundry and fully equipt kitchen. The cleaning let it down a bit. but overall very happy and we will take the kids next time. I thought this place is lovely. It had all the features you need for a weekend away or a week stay. The house isn't super modern but it's very comfortable and therefore afforable! Very clean, including the dishes cause there is a dishwasher. Power was out in the whole town on a windy night and the owner was very informative and helpful. Within a couple of hours the power was back on. Would stay again for sure!